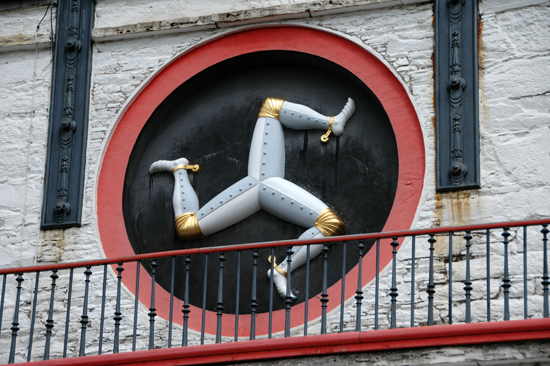 It’s perhaps the ultimate Manx symbol, but where does it come from? A new book aims to unlock the mysteries of the distinctive and ubiquitous Three Legs of Mann. ‘Three legs Good’, published by Loaghtan Books, celebrates the Manx triskelion and explores the history of the symbol and its origins. Author Sara Goodwins, who lives in Ramsey, told the Manx Independent: ‘I’m a comeover, and the first time I visited the island about 25 years ago I saw the symbol everywhere. The Manx version of the triskelion is believed to have been adopted as a royal coat of arms in the island during the 13th century, but the symbol’s origins go much further into the past, taking in Celtic and even classical history. Written by David Kneale, published in The Manx Independent, Thursday 5 March 2015.